Has the time come to make your patio everything you always wanted it to be? If so, you will need help choosing the best patio door for your space. Here in Brampton, ON, the Brock Doors and Windows professionals want to help you to decide how to bring your patio to life! Check out some of these pointers to steer you in a good direction! Vinyl patio doors (and windows) are arguably the most popular on the market—and they have been for quite some time. Why? They are the most cost-effective and durable, which goes a long way with homeowners looking to spend their money wisely. Think about it: knowing your patio door will not corrode or easily dent—is that not one of the most convincing reasons to select a patio door for your outdoor space? Further, vinyl has a great reputation among building products. It will not rot, pit, rust, or warp. It is inherently scratch-resistant and weathers storms very, very well. Vinyl is lauded for its thermal performance and energy efficiency. 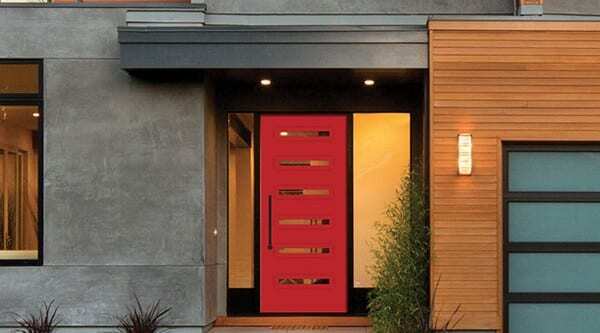 And—the kicker—vinyl is the lowest-maintenance material you could select in a door or window. Increased appeal: a sliding door is uber-functional. Increased light: the clean lines and unobstructed views mean you feel more connected to the outdoors. Space-saver: sliding patio doors require no floor space at all to function. Have a small patio or indoor area leading to the patio? No problem. Improved safety: a simplistic sliding door with large windows improves visibility to the outdoors. This is especially beneficial for homeowners with small children and/or pets. Affordability: in general, sliding patio doors are more affordable than others, by comparison. This style is suited for every setting: country home, suburbia, urban location, condo in the city, etc.! A garden patio doors is a very stylish option which blends well with many home styles and décor perspectives. At Brock, we have a sliding version so you have the best of both worlds—that garden look with the functional benefits of a sliding patio door in Brampton, ON! Are you as excited as we are to upgrade your patio with one of Brock’s patio doors? Come visit our team of pros today and let’s find the perfect option for your home. We can’t wait to see you!